Micropigmentation of the lips, eyebrows and eyeliner allows you to be perfect 24 hours a day. Circumstances which motivate women to undergo this procedure include: active sports participation, allergies to make-up, oily skin which causes make-up to smudge, difficulty applying make-up (poor vision, arthritis), and thinning or loss of your eyebrows. The medical micropigmentation allows to correct skin defects like scars and illness consequences like vitiligo. The micropigmentation remains for a period of 2 to 3 years. It lasts a shorter time than the decorative tattoos because the dermography deposits the pigment in the most superficial skin layers. If aging produces changes in the face symmetry, you can correct the make-up with new micropigmentations. 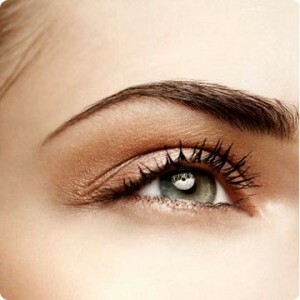 Eyelashes tint provides intense color and a thickening of the hair. It last about three to four months, then gradually the natural color will reappear. It is indicated for people who practice sport or that do not have time to make up every day. A great alternative to mascara especially if you have allergies. The eyelash tint is especially used in the summer when you go to the beach or pool.